Have you been disappointed looking at all the used junk campers? Sunburned and ate up from the hot Florida Sun. Decals faded and Peeling? Leaks? 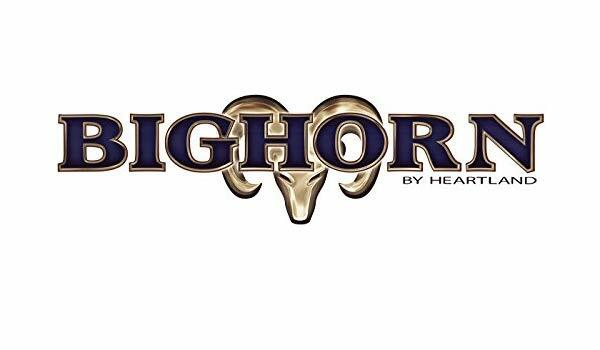 Up for sale is our 2011 Heartland Big Horn 3585RL 38' Triple Slide Fifth Wheel Camper. 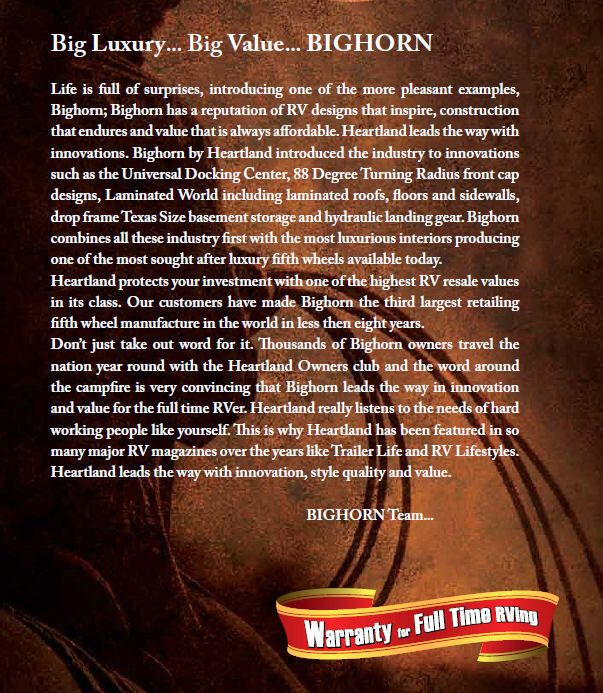 Big Horn is the top of the Heartland line, so made with the best materials. Here is the best thing about this camper. It was purchased brand new in 2012. Dealer moved it to the Covered Spot at Campground in Indiana and there it has sat ever since. Completely covered under metal canopy since brand new in a treed campground. That mean no Sun, No fade, No Rain, No Snow, No Hail, no falling debris, has ever touched this camper! OEM Bedding has been stored since new so in perfect shape. Look at all the pictures I have included to see how nice this camper is! Let's face it. The Rain, Snow and Heat are the worst enemy of these campers. I know what I like to see when shopping on Craigs List. Lots and lots of pictures and lots of information. Not just 2 or 3 lines cut and pasted specs. Most are my actual watermarked pictures (Not stolen from some other site or seller!) 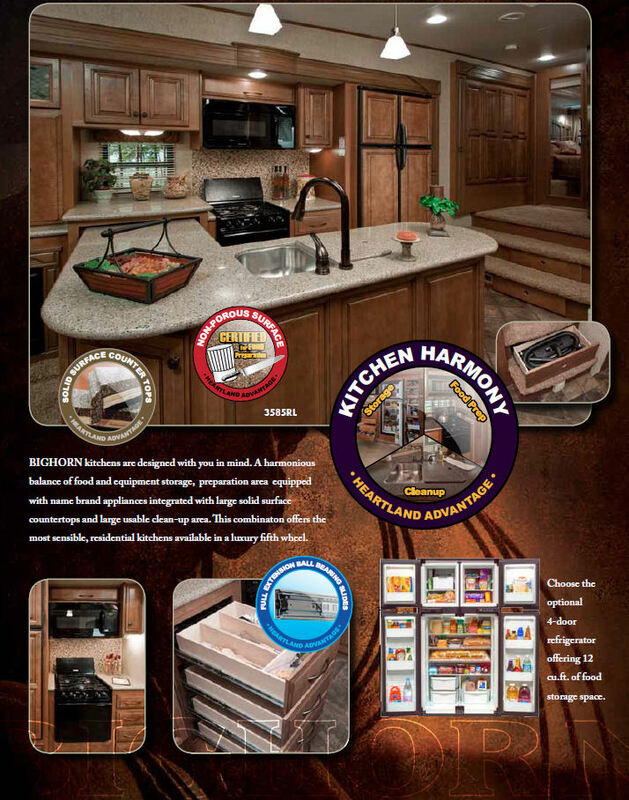 with some pictures from the actual sales brochure. Why waste people's time by not showing something? 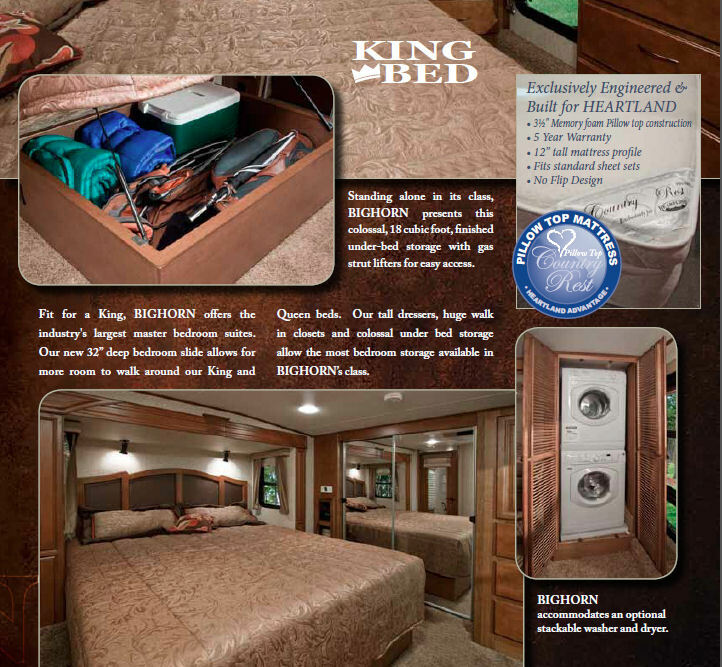 So I have jam packed this ad with tons of pictures so you can see just how nice this Fifth Wheel is. Why buy a new one when you can get this one just like them with probably MORE options for thousands less. This also means the exterior is perfect. The camper is bright an clean. All decals look brand new with no fading or curling. The Endcap is perfect with no rock chips or sun faded decal. In fact there are no bugs even on it! Maybe 200 miles on the tires. 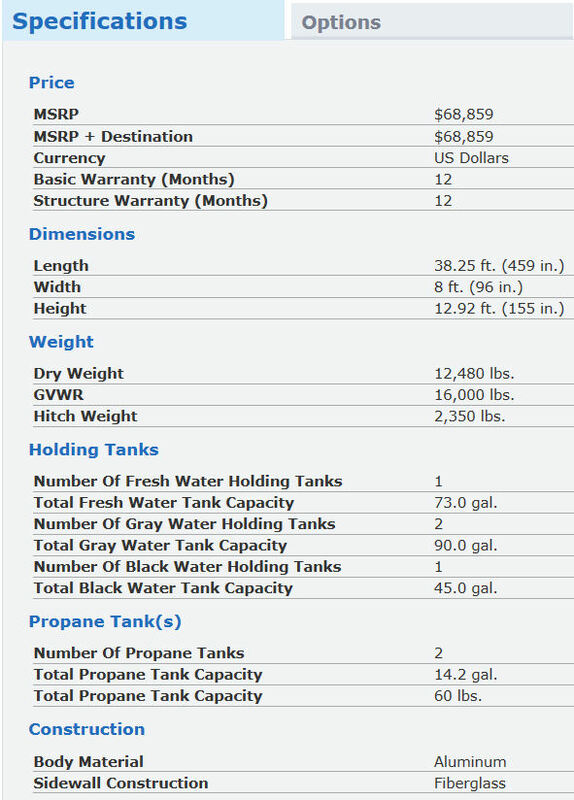 Basically it has no road miles other than setup. Spare still has sticker on it! The slides are so big that it is like having a quad slide and all have the slide toppers. (No sticks or debris to sweep off your slides and no rain for potential leaks in the future. KING SIZE BED with memory foam mattress topper! (Factory Bedding stored since new and never used) Electric Fireplace. Central Vac. 2 LCD Televisions with DVD players and Theater type Stereo Surround Sound. Tons and Tons of Storage inside and out. Great Condition inside and out. Nice Neutral Colors mean camper will never look dated. Used for occasional weekend camping only. and not used in the Winter months at all. Looking for a live-in camper for you and your family while you build your house or spend the winter months in Florida? This is the ideal solution. Well insulated. Can be towed with a 2500 Series 3/4 ton truck. 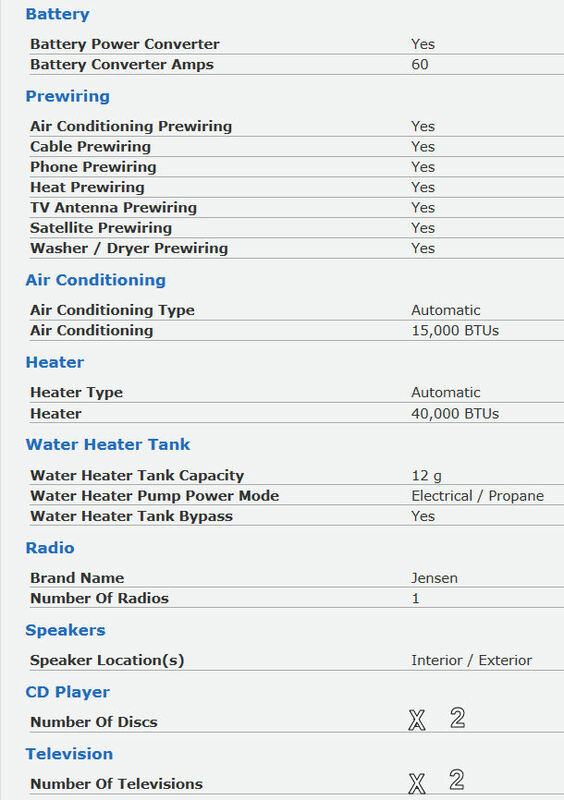 I can answer all the usual questions: No Smells, No issues, No Problems, Everything works, No smoking, No leaks - now or ever! Pictures are of the camper now 3/25/19, not when we got it, as some have asked. 50 Amp electric Cable has its own storage on an electric self winding reel! No more dragging around your heavy cable! Clean Title. No lien. It is move in ready. CLEAN! Hook up and go. You will think you are buying from a dealership it's so nice, but no markup and ready to deal. Do your research and find others selling this model for $25,000and up in some cases and they certainly haven't been stored under cover their whole life. You won't be disappointed. Just have to see it. 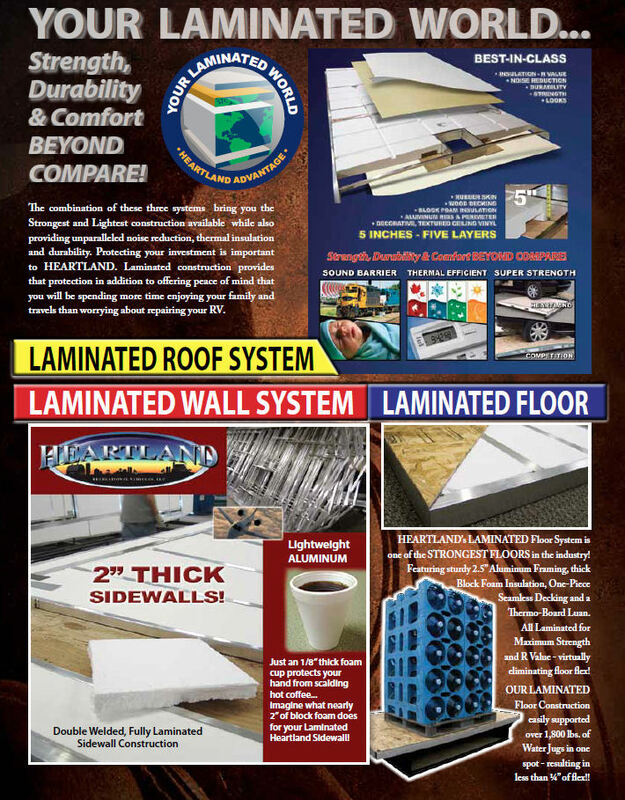 In what has become industry leading, the incorporation of our Patented improved turning radius design, Heartland offered a 5th wheel that could be easily towed by the popular short-bed, extended-cab truck. This was ground-breaking, because while these trucks were very popular (allowing the owner to park in the garage or at any restaurant), the truck design resulted in significant problems when cornering with a 5th wheel attached to them. 50 Amp electric 33' Cord has its own storage on an electric self winding reel! No more dragging around your heavy cable! 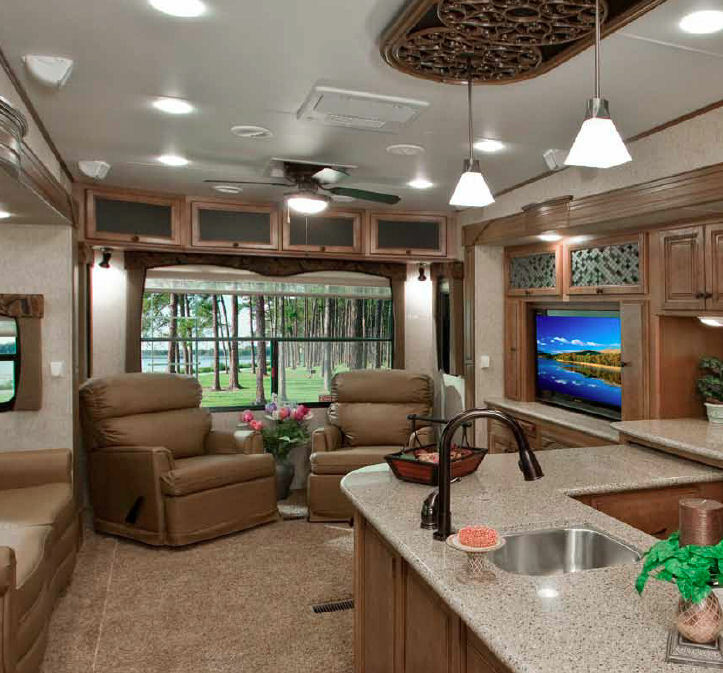 Until Heartland transformed the design, the pull handles often were located under slide outs or in other hard-to-access points on the coach and hookups were spread out all over the outside. The incorporation of the UDC brought a popular motorized selling feature to the towable market. The concept for a centralized docking center had previously been offered only on expensive motorhomes. Heavily insulated! R-8 walls, R-27 Floor, R-23 Roof. More insulation means warmer in the winter with less propane used for heat, and less air conditioning in the summer! 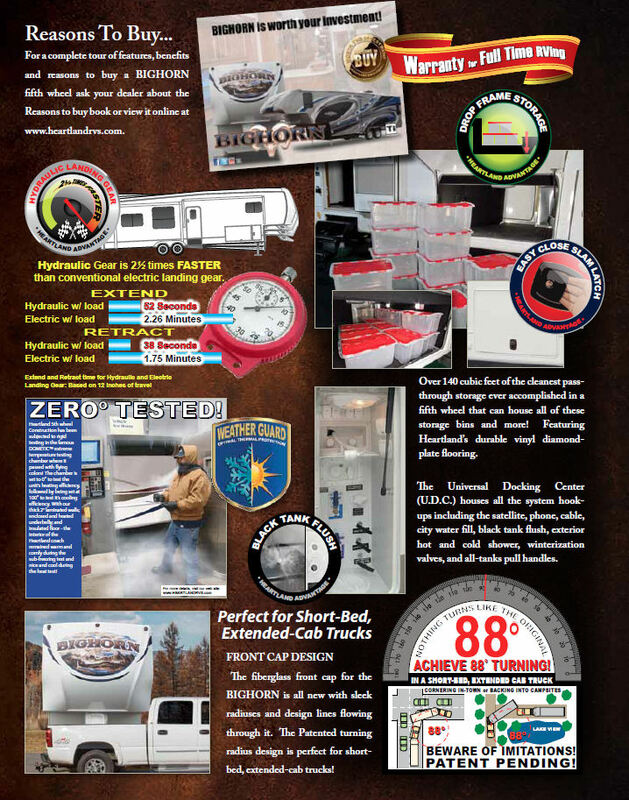 Seriously, some brands of RV's with the "Arctic" or "Polar Insulation Packages" do not have insulation this good! 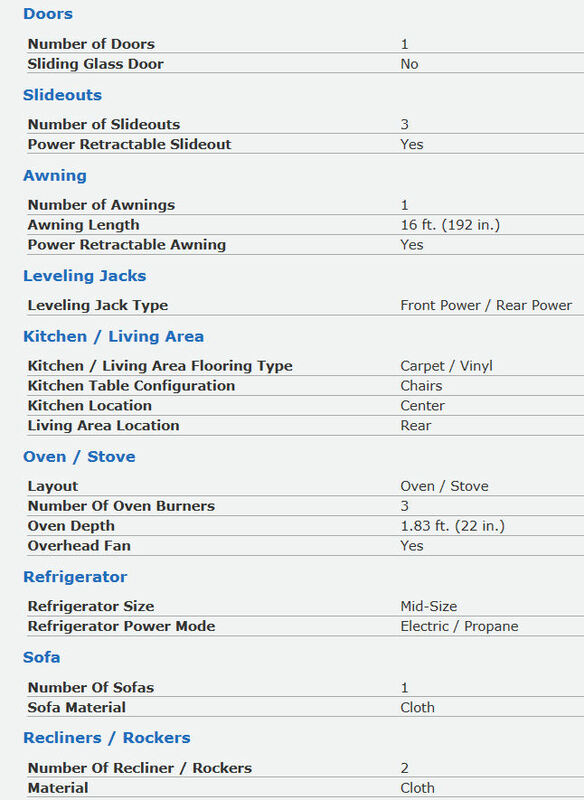 RV is in excellent condition and absolutely loaded!!! 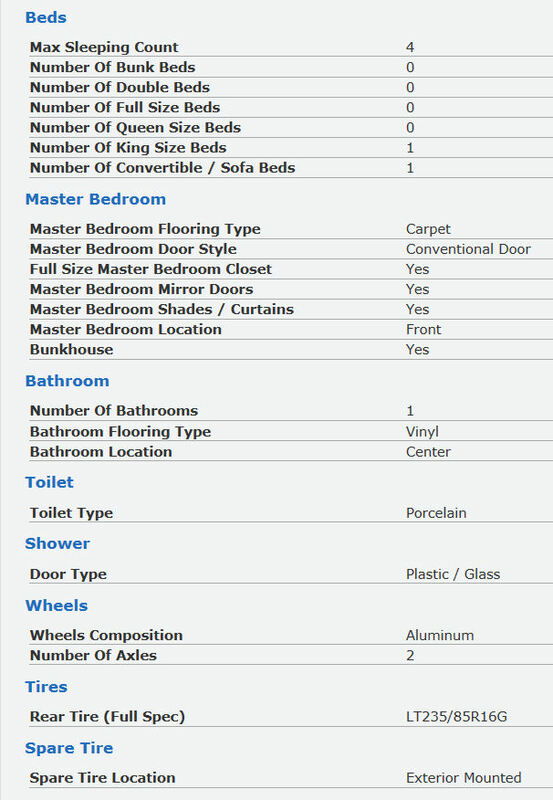 3 large slides, arctic package, king bed, corian countertops and so much more. One piece undercarriage enclosure with heated undercarriage and basement storage. Huge closet (20 sq ft)! This camper needs nothing! Clean and ready to go! 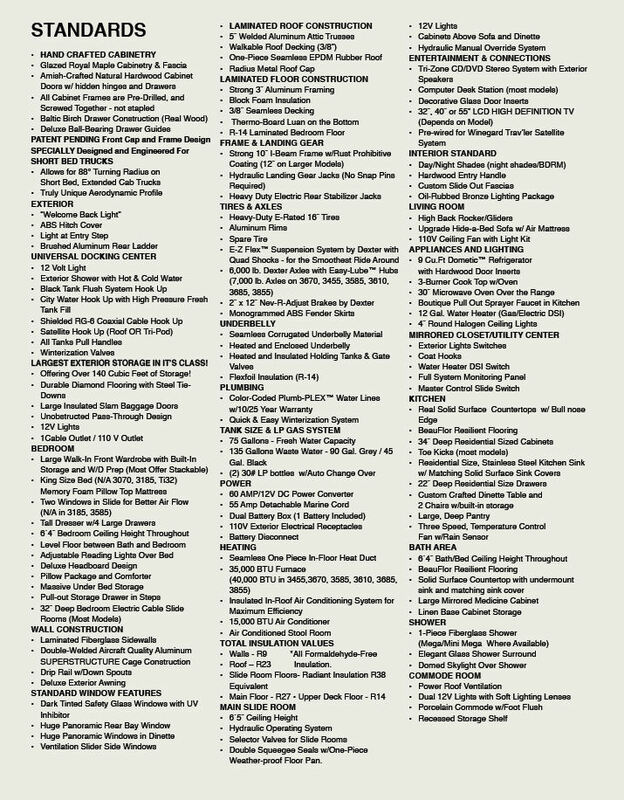 All manuals for EVERYTHING kept and organized!
. Pretty firm at $23,000 considering it's near perfect condition for a 2011. Thanks.